For decades, the Land and Water Conservation Fund has garnered strong support from both parties in Congress, as well as states and local stakeholders across the country. The program receives revenues from offshore drilling, then uses the proceeds to conserve and increase access to our parks and public lands, routinely partnering with cities and states to meet their conservation needs. 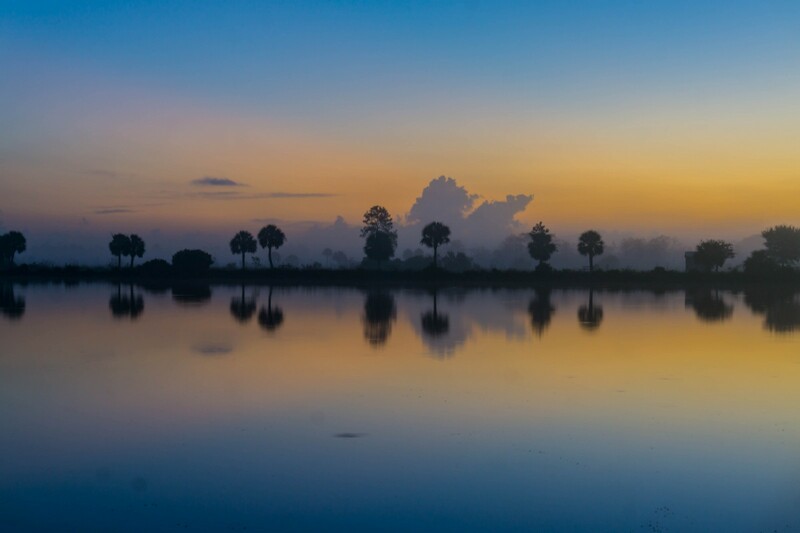 In many instances, LWCF has been used to purchase islands of private lands, called “inholdings,” within our national parks from willing sellers at fair market value, protecting those critical landscapes from development. An analysis by the Center for Western Priorities found that from 2014 to 2017, the LWCF was used to complete at least 293 projects across 42 states, conserving more than 431,000 acres. Although the program has been wildly successful, one key fact has remained true since its inception — the Land and Water Conservation Fund has almost never been funded at the full level intended by Congress. Going forward, two critical changes could ensure the LWCF enhances our parks and public lands for generations to come. Virtually every year since the program’s inception, Congress has failed to fully fund the LWCF. 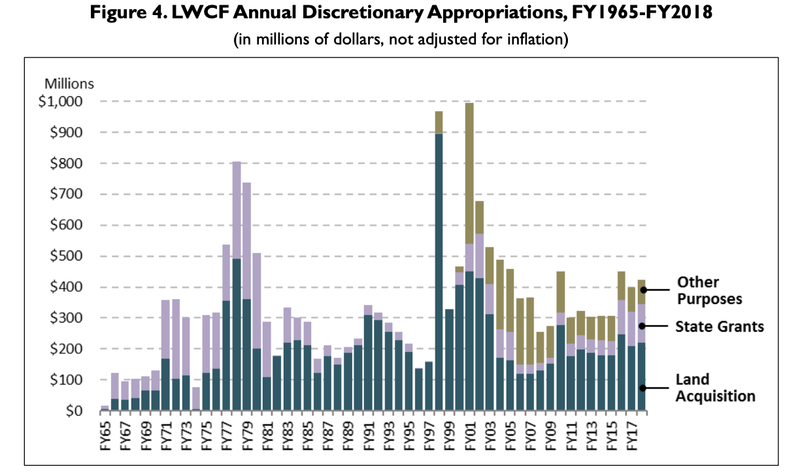 Remarkably, of the $40 billion that has accrued to the Land and Water Conservation Fund since 1964, only $18.4 billion has actually been appropriated by Congress. While Congress did not initially set an authorization level for the Land and Water Conservation Fund, it did amend the program several times, eventually settling on a $900 million annual authorization beginning in Fiscal Year 1978. That funding level, adjusted for inflation, would be more than $3.6 billion today. To ensure the program can address critical public lands access projects going forward, Congress should increase the program’s annual authorization and index it to inflation. Currently, funds generated by offshore drilling and intended for LWCF are sent to the General Treasury. While there is a Land and Water Conservation Fund within the Treasury, it is not a true trust fund in the traditional sense. As currently structured, Congress must appropriate accrued funds before they can actually be spent, and the remaining balance does not generate interest. Instead of sitting on a pile of unspent or diverted funds that are not generating interest, Congress should change the structure of the Land and Water Conservation Fund to ensure that most of the funds accrued each year are actually disbursed to federal, state, and local stakeholders in the form of mandatory funding. In establishing a level of mandatory funding, while maintaining a level of discretionary funding that Congress appropriates, Congress could ensure that key conservation projects are addressed while maintaining a role in setting funding direction. Further, Congress should ensure that remaining balances in the LWCF can generate interest, similar to the Leaking Underground Storage Tank (LUST) Trust Fund and other true trust funds. Boosting our investment in the Land and Water Conservation Fund will pay dividends for Americans across the country — every $1 of LWCF funds invested into the protection of new U.S. public lands generates $4 in economic value. The fund’s successes contribute essential infrastructure for the nation’s growing outdoor recreation economy, providing lifeblood for gateway communities. It is hard to understate the importance of the sweeping public lands package passed by Congress and signed into law earlier this year. 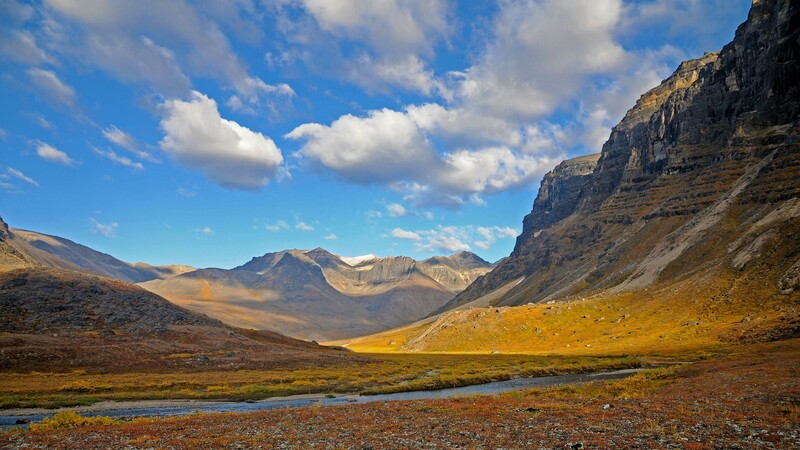 The legislation designated more than 1.3 million acres of wilderness, established new national parks and monuments, and permanently renewed the Land and Water Conservation Fund. However, Congress cannot rest on its laurels if it wants to truly address the challenges that face our parks and public lands in the coming century. Ensuring funding for the Land and Water Conservation Fund keeps pace with inflation and establishing mandatory funding streams to ensure critical projects are completed would be a strong start.